A new whistleblower has appeared who is creating quite a stir in the UFO and exopolitics communities due to his claims of having worked with a number of secret space programs; and, more recently, having become a contactee with a powerful new group of extraterrestrials that have entered our solar system. 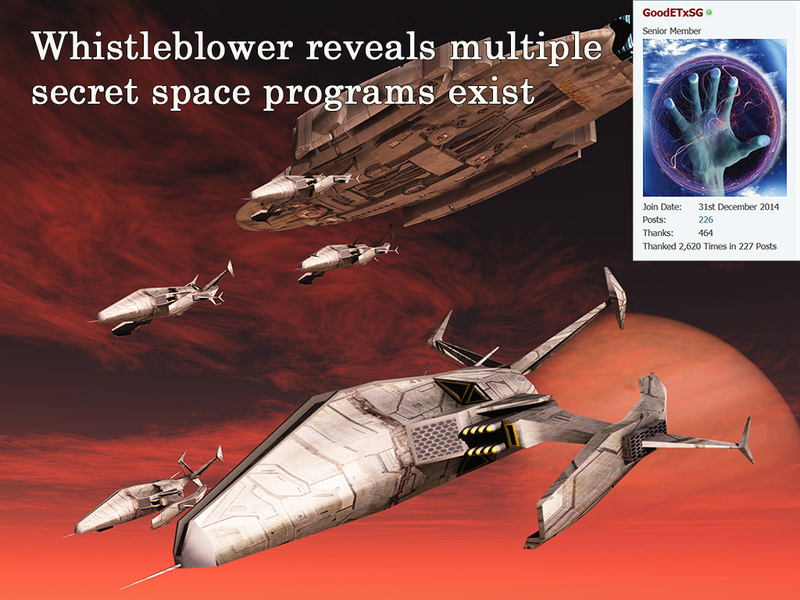 Using the online pseudonym GoodETxSG, the whistleblower (who announced yesterday that his first name is Corey and that he will soon end his anonymity) has described in interviews and posts on two major online forums his former covert background with a number of secret space programs run by various military, corporate and earlier human civilizations. He says that contrary to widespread perceptions in the UFO research community of a single secret space program belonging to a breakaway civilization, that there are in fact up to ten breakaway civilizations indigenous to Earth. Each of these breakaway civilizations, according to GoodETxSG/Corey has their own secret space program. He says that there are currently three major secret space programs belonging to various national and international entities on Earth. One of these is a large corporate entity similar to what was described in the movie Avatar. The other two are multinational covert space programs that are similar to NATO in their manner of operations and activities. In addition, he says that there are between 5-7 secret space programs belonging to earlier breakaway civilizations on Earth including Nazi Germany, and another dating as far back as an astounding 500,000 years ago! 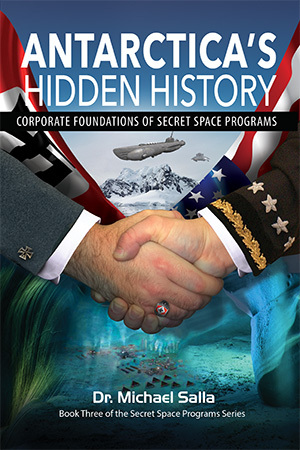 There are many who have been a part of the 3 Separate Secret Space Programs that are independent of the Secret Earth Governments (One of which is a powerful Interplanetary Corporate Conglomerate that owns most of the Mars Bases). There are also 5-7 “Ancient Earth Break Away Civilizations” that have Bases here on Earth. All of the groups mentioned above are “Allied” with various and different “Off World Entities’ and “UN Type Federations” both with the “Human Like ET’s” and the “Non-Human ET’s” (All with DIFFERENT AGENDA’s). There is also a “Shadow Civil War” going on among some of these Secret Space Programs and their “Off World Allies” to end control of the Secret Earth Governments using the “Babylonian Money Magic Slave System” to control Earth Humanity. A significant point concerning security in GoodETxSG’s postings is that concerning the threat posed by artificial intelligence. According GoodETxSG, artificial intelligence (AI) has been developed by multiple extraterrestrial civilizations that have created synthetic AI humanoids, only to have them turn against their creators in a manner similar to what was depicted in the remake of the television series, Battlestar Galactica. Consequently, all secret space programs have created security procedures to identify individuals displaying evidence of AI influence. As a last resort, individuals trained as intuitive empaths were employed to identify AI influence as well as any form of deception. This was the main job that GoodETxSG says he performed during his 20 year tour of duty. GoodETxSG’s claims that he and 70 other private citizens were recently taken to a secret space location for an “Alliance Conference” where along with about 120 others representing the different secret space programs, the “Sphere Alliance” revealed some of their plans. 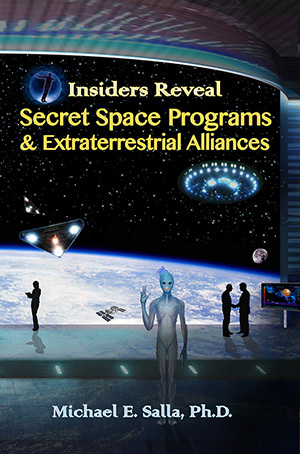 Among the extraterrestrials from this alliance who interacted with the conference delegates, according to GoodETxSG is a “Blue Avian” race up to 8 feet tall, and a taller 10 foot thin golden brown being with triangular head and blue eyes. The Sphere Alliance apparently is intent on helping bring about full disclosure of extraterrestrial life. GoodETxSG has been sharing his information with David Wilcock who apparently vetted GoodETxSG with other confidential sources and found him to be credible. Wilcock has subsequently incorporated GoodETxSG’s testimony into a number of public presentations attempting to outline the full complexity of issues concerning secret space programs and visiting extraterrestrial life. Wilcock is a major proponent of the idea that extraterrestrial disclosure is imminent due to the collapse of the elite control system that has been in place for centuries. He accepts GoodETxSG’s information as validation for his optimistic pro-disclosure position. Before offering my own evaluation of GoodETxSG’s claims, it’s good to review what is known about his recent public activities. GoodETxSG first became widely known because of two audio interviews he did that were initially promoted through the Project Avalon forum in Oct 2014. He previously had been a long time member of Project Avalon where he had shared personal information, but not his covert background in various secret space programs. That changed in Sept 2014 when he consented to do an informal sit down conversation with a Project Avalon member on behalf of the forum’s founder Bill Ryan. The conversation was intended to be used solely for Ryan’s personal research but GoodETxSG was persuaded to have it published on Project Avalon with the proviso that all steps would be taken to keep his identity anonymous. While this introduced a wide audience to GoodETxSG’s experiences with different secret space programs, this ultimately led to his identity being exposed on the forum, and ultimately a break with Ryan and Project Avalon. Currently GoodETxSG’s is posting on a new forum, “The One Truth,” where he is answering questions and informing members of new developments. He also has a website which has much of the information he has shared on the two forums. How credible is GoodETxSG? According to Wilcock, GoodETxSG’s testimony is consistent with multiple other insider sources discussing secret space program and extraterrestrial life. In my own database of whistleblowers, contactees, leaked documents and breaking news on the secret space program(s), I have found nothing awry in GoodETxSG’s claims. His claim of separate space programs is consistent with Randy Cramer’s claims that he served with the Earth Defense Force (a multinational alliance) for 17 years on Mars to defend five civilian bases belonging to the Mars Colony Corporation. In his alleged 17 years on Mars, Cramer claims he never once ventured into the Mars Colony Corporation facilities, even for R & R. That appeared strange to me when I first heard of it. That degree of formal separation between military and corporate bases on Mars, however, supports GoodETxSG’s claims of separate space programs. GoodETxSG claims that he served a 20 year tour of service with the secret space program(s) before being age-regressed back to a time shortly after his duty began. Essentially this allowed him to live a 20 year time-span twice. Also, his memories were wiped or “blank-slated” and GoodETxSG, now a civilian, was encouraged not to rejoin any military service in case that triggered memory recall of his prior 20 year service. This is consistent with the claims of Michael Relfe (The Mars Record) and Randy Cramer (Earth Defense Force) who say they went through a similar security process. In a nut shell, we are a composite of a lot of different races, 22 to be exact. It is a physiological fact that there are 22 different body types on the planet. And that is the result of the extraterrestrial races. In the original 1962 film, Manchurian Candidate, mind controlled military personnel were given false memories and programmed to act in ways that served the interests of shadowy entities behind the scenes. Project MKUltra was exposed to be a real CIA mind control program by the 1976 Church Senate Committee that targeted thousands of individuals. Mind control through the use of false implanted memories would over the decades have become even more sophisticated with the development of more powerful computers. It’s possible or even likely that implanted memories have been used for those that have previously served in secret space programs and undergone a blank slate mind control experience when reverting to civilian life. This would enable former covert space operatives, now working as private civilians, to continue to be of use in any psychological warfare operations against the US or world public. It’s important to point out that the Edward Snowden NSA document leaks confirm that online covert operatives have indeed been used to subvert the public about the UFO issue. Different mind control techniques used on former secret space program personnel does not mean that ALL recovered memories are false or compromised. Individuals may be programmed to release genuine information along with disinformation as a means of an agency fulfilling an agenda that evolves with time. It’s also possible that former secret space program personal have been able to successfully remove most if not all implanted memories or mind programming. It’s worth mentioning that in the cases of Michael Relfe and Randy Cramer, both underwent years of extensive deprogramming to remove signs of mind control, and get to the truth of their experiences. At this stage, it’s vital to separate GoodETxSG’s claims of 20 years service with multiple space programs with his more recent claims of being an extraterrestrial contactee. Importantly, the latter experiences from his public statements so far, provide information about current off-world events that can be corroborated by others attending the alleged “Sphere Alliance” conferences. If 70 private individuals attended the same event, it can be expected that some will soon also go public and offer their versions of what happened. Significantly, there does not appear to be any mind control involved in GoodETxSG’s claimed contact experiences. If confirmed by others stepping forward, his contactee experiences will support the validity of his claimed earlier experiences with secret space programs. Researchers need to be very cautious when examining testimony of whistleblowers that have been subjected to mind control as a standard security measure during their alleged service in one or more secret space programs. GoodETxSG/Corey may very well be one of the most significant whistleblowers ever to come forward with his claims of twenty years service with multiple secret space programs if confirmation can be found. His current revelations about an alien “Sphere Alliance” may be even more significant if events transpire as he suggests, and also offer a means of confirming his alleged prior covert service. At the moment it’s important to keep an open mind while remaining cautious when examining the full extent of GoodETxSG’s/Corey’s claims concerning multiple secret space programs, and their reactions to a powerful new group of visiting extraterrestrials supportive of full disclosure. ← Did space aliens kill President Kennedy?